Don’t let the size of the shop fool you. It’s tiny but mighty! 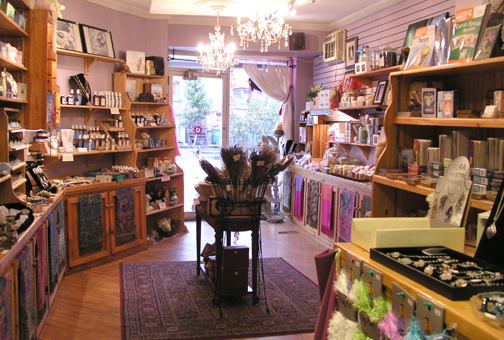 Janice carries a great variety of natural bath and body products, pure essential oils, candles, jewellery, artwork, angels (in all different shapes and sizes) books and so many other things I have yet to discover. 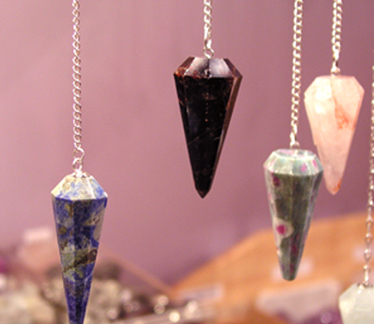 She also carries metaphysical products such as crystals, angel and tarot cards, meditation CD’s and much more. 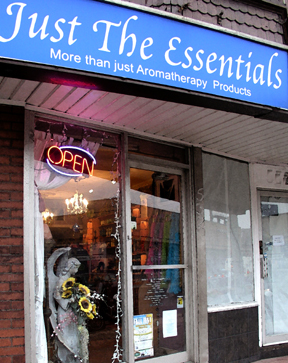 The shop is full of wonderful scents and sounds that relax and soothe your senses. I love wandering through the Shop, just taking everything in. I always seem to find something that I hadn’t seen before, but it’s really the overall essence of the store that I find so alluring. It is full of uplifting positive energy that is somewhat intoxicating. 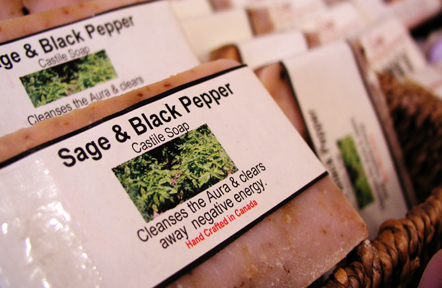 Sage and Black Pepper is one of my favourite soaps. It has a surprisingly warm scent that is sweet, spicy and uplifting. More soaps! 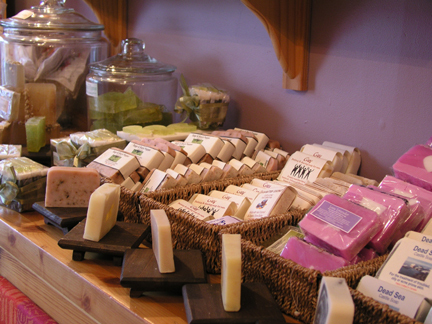 The Shop has a wide variety of handmade soaps. Once you try one- you won’t want to use any other! Of course I think the best part of the Shop is Janice herself. She is a Wellness Practitioner, Reiki Master and Teacher. She is a helper, supporter and guide to so many people who are searching for a spiritual and inspired life. She seems to have an endless supply of knowledge which she generously shares with all. Her caring and positive nature welcomes everyone who walks through the door. 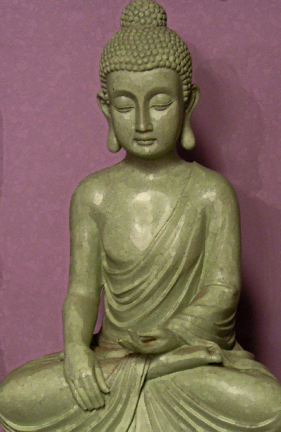 Janice leads a guided meditation class, that is held on the first Saturday of every month. Soothing sounds play in the background while Janice’s gentle voice guides you to use your imagination on a particular journey, helping you draw attention to your breath and internal gaze, instead of all the noise in your head. Before the meditation begins, we do a very informal introduction with each other. What I find fascinating is how most people have serendipitously found their way there. It seems they have been brought there at a pinnacle point in their lives. For me, meditation helps bring me closer to living a spiritual and purposeful life. After the meditation is done, we celebrate with delicious homemade tea, some snacks and meaningful conversations. 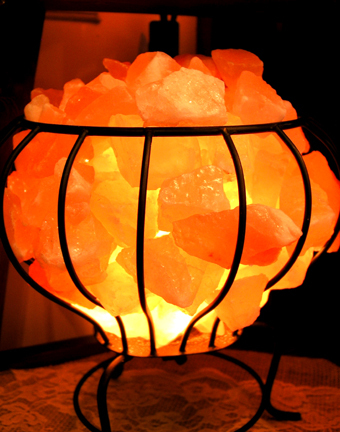 The Shop carries a variety of salt candle holders. Their glow creates a warm and cozy atmosphere. Janice opens up her home twice a year, to celebrate the winter and summer solstices with a Burning Bowl Ceremony. This ceremony is a sacred way to release old, unwanted conditions or events in our lives and it clears the way for new beginnings. This is a great night, both summer and winter (we bundle up in our warm woolies) as we sit around a huge bonfire. This ceremony, although it is a very relaxed and social evening, is very powerful. We bring our collective intent to support and strengthen each other and by doing so we strengthen and solidify our own beliefs and emotions for our own transformation. Janice offer a full range of holistic services that garner rave reviews. I have not had the opportunity to try any, but am going to in the near future. I am interested in trying the Reiki treatment. There is an interesting and helpful assortment of classes and workshops that are offered throughout the year. I have attended the Energy Clearing and Grounding class, which teaches you how to cleanse and release negative energy and invite more positive energy into your life and home. I highly recommend this class to anyone. Maybe the spirit will move you to visit the Shop? You’ll be surprised what you might find! This entry was posted in Uncategorized by Kathy D. Bookmark the permalink. Wow Kathy this seems amazing! I never knew this place existed and will 100% be checking it out. Thanks for doing a post on this. I’d love for more info too. Glad you liked it. Just check out the hours they are open as they aren’t open everyday. The hours are posted on their website. I have been to just the Essentials and really love the energy of the place. Thanks for your comment Lisa. I would agree with you! Kathy you have done a wonderful service to us all…I love your article! I love the corner of soaps. WW1monuments/Canada on Hamilton museums- virtually!